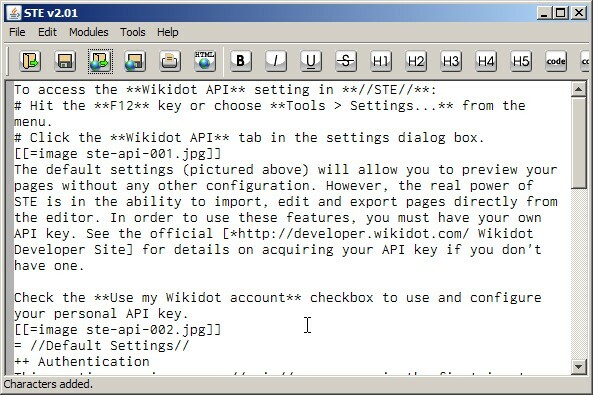 Proper configuration of your API key. Proper permissions from the site and page you want to open. 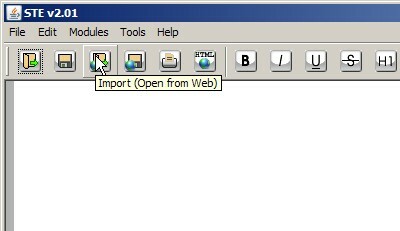 To import a page, click the "Import (Open from Web)" toolbar button as shown below. Enter the site name and page name, then click the "Import page" button as shown below. If everything is entered correctly and you have proper permissions, the page loads into STE. If you don't have proper permissions, the site does not exist or the page does not exist, an explanatory error message is displayed.